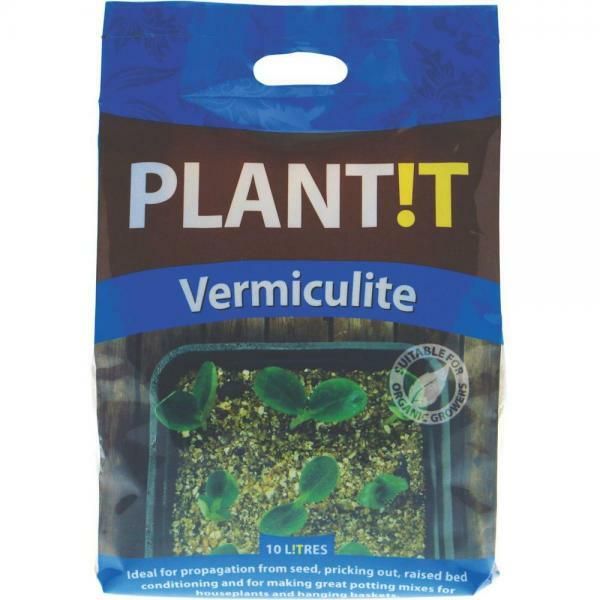 Another firm favourite with keen gardeners is vermiculite and when you want to retain water than choose to add vermiculite to your chosen media. PLANT!T Vermiculite is a natural sterile soft mica mineral with great water holding and insulation properties. It also offers a high cation exchange capacity which means it will slowly release nutrients back to your plant which it has absorbed during watering. Using PLANT!T Vermiculite can also aid propagation when used as a top layer as it reduces evaporation and can help ensure the seed case is lost. By using PLANT!T Vermiculite, you can also reduce plant stress in extreme weather conditions due to its insulation properties. 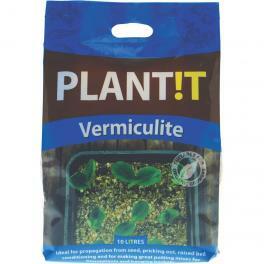 PLANT!T Vermiculite is easy and safe to handle and odourless whilst also being lightweight and simple to use. PLANT!T Vermiculite can be used for propagation from seed - its retention of water makes it good for sustaining the growth of seeds; potting compost for container planting - it retains moisture whilst protecting against adverse weather and aids re-wertting; and soil conditioning - its excellent water holding capabilities makes it an excellent addition to sandy soils or dried out ground.